The best in LED illumination combined with two optical grade magnifiers. 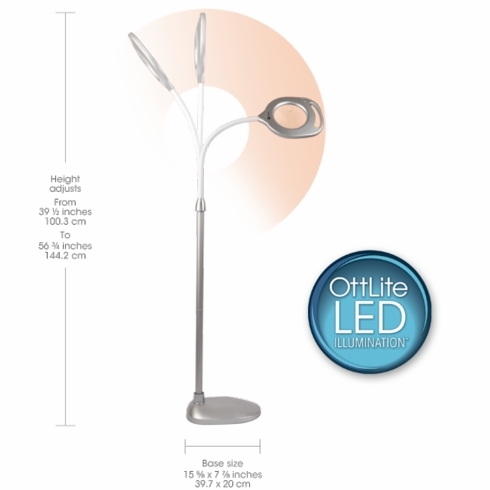 The 2-in-1 LED Magnifier Floor and Table Light combines 30 Super Bright Natural Daylight LEDs with optical grade magnifiers and a rugged built-in handle so you have hands-free magnification exactly where you need it. Plus, it includes a conversion kit allowing for easy conversion from a floor lamp to a table-top model. It’s like having two lamps in one!